Developed under the codename Silk Road 2, the proposed BMW Z7 and Lexus ZC/ZR are cutting-edge sports cars which will cost around €90,000, or £73,000. Slap bang in Porsche Carrera territory, then. This will be the first mid-engined mainstream two-seater for both brands – as well as the first plug-in hybrid sports car with a six-cylinder engine. Due to see the light in late 2018 or early 2019, SR2 will be developed in Munich for both brands. And providing the firepower are two different calibrations of what is essentially the same twin-turbo in-line 3.0-litre straight six. The aggregate power output would be in the 400 to 500bhp bracket, which will be needed to overcome what our engineering sources predict will be a kerbweight under 1650 kilos. 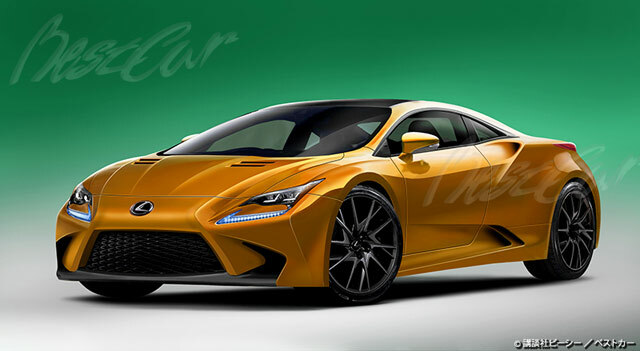 The idea of BMW & Lexus collaborating on a sub-$100k sports car is much more believable than earlier rumors of an LFA II supercar, and likely closer to the truth considering the source. Seven23: It will take time to produce another lfa they could build a car could go the Market earlier ! !